If you have suffered an injury in a car accident caused by negligence, you may be eligible to receive financial compensation for your injuries. 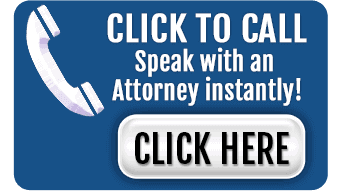 Call our auto accident lawyers to discuss the specifics of your case. Car accidents can be devastating, even when they seem minor at first. What looks like a simple fender-bender can result in critical neck and back injuries, many of which are not discovered until days, weeks, or even months later. and in some cases, death. 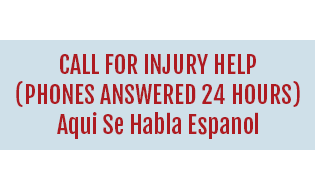 If you or a loved one have been injured in a car accident, it is important that you get medical help as soon as possible, even if you do not feel as though your injuries warrant medical treatment. Once your condition is stable, the next step should be to contact an experienced auto accident lawyer in your area. Often, car accidents are the result of the carelessness or negligence of someone else. The first step to bringing forward a personal injury suit for damages is to determine who may be held legally liable. For example, if a driver who was texting while driving causes an accident, he or she may be held responsible for the injuries to victim and harm to their vehicle or other property. If the car rolled in the accident, the vehicle manufacturer may also be able to be held responsible at least in part for the damages due to a defect in the design or manufacture of the vehicle or its parts. Often, bringing forward a claim for compensation in a car accident case is difficult and complex. While many people don’t like the idea of “suing” the other party for financial restitution, the fact of the matter is that without a personal injury lawsuit, many families who have been affected by car accidents are left to cover the costs of the astronomical damages themselves. The most important thing to do following a serious Georgia vehicle accident is to ensure that the accident scene is safe and that everyone out of harm’s way. It can be very dangerous to move a person’s body at the scene of an accident, if they have sustained a head, back or neck injury. Always contact the paramedics even if you are not yet sure of the severity of someone’s injuries. After the area is under control and you have a way to notify oncoming traffic about the situation, you will want to call 911. After emergency services and the police arrive, it is critical to inform them about the facts of the accident. If there is ultimately an auto accident lawsuit filed due to this incident, anything that is said at the scene including materials put into the police report, could be used later in court. Statements that are made to a police officer at the scene of the accident will be recorded and could be used later, determining the outcome of the case. This information could be critical if you were seriously hurt in the auto accident. You need to be as accurate and as clear as possible when presenting information to the police. You will typically have full rights to sue an at-fault driver even if you are a passenger in the accident. Since Georgia recognizes inter-spousal, siblings and parental immunity, you usually cannot sue someone who is in your immediate family. What to Know About Talking to The Insurance Adjuster Following an Auto Accident? One of the most common challenges presented by a victim in a vehicle accident is whether or not you should speak to an insurance adjuster. If you have been contacted following an accident, the simple answer is that you should not talk to the insurance carrier until after you have spoken directly to your Georgia car accident lawyer. Insurance adjusters are trained to identify as much information as possible that could be used to find a loophole or as a reason to deny your claim. If the insurance company pays you a settlement and you agree to it, then the company’s profit will suffer. But there is also a good chance that any settlement offer presented early in the case does not fully compensate you for the severity of your injuries. Insurance companies are designed to generate as much profit as possible and to protect their bottom line rather than to focus on payout. It does not matter whether it is your insurance carrier or the other party’s insurance carrier; you need to be prepared to protect your best interests. There are several different laws in the books that can influence your ability to recover compensation. The first of these is known as the statute of limitations. The statute of limitations is an official law that put the time limit on your possible rights to bring a lawsuit. 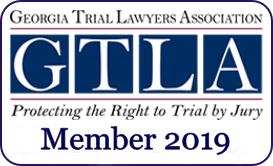 The deadlines associated with a Georgia statute of limitations depend on the type of harm you have suffered or the type of case you intend to file. The statute of limitations in Georgia means that you need to file your case as soon as possible after the accident occurs. The time limit is two years from the date of the accident and the clock begins running immediately after the accident. If the incident led to someone else’s death and the family members intend to bring a wrongful death lawsuit against the driver who caused the wreck to begin with, the timeline for filing this type of case is also two years. Bear in mind that the clock begins running on this statute of limitations on the date of the person’s death rather than the date of the accident itself as these two dates might be different. If you intend to file a lawsuit related to vehicle damage caused by the accident, the statute of limitations for this is four years. If you try to file a case after the statute of limitations has been exceeded, the court will throw out your case. It is always a good idea to give yourself ample time to file a car insurance lawsuit, even if you think that things might ultimately be resolved during a settlement. If the statute of limitations deadline is close, now is a good time to schedule a consultation with a lawyer. What happens if the other party alleges that you are partly or fully responsible for causing the accident, this can be an overwhelming and frustrating scenario to engage in, especially if you know that the other party was responsible for the injuries and the accident itself. Comparative fault, in general, refers to a situation in which more than one individual is at least partially at fault for an accident. Georgia personal injury law allows you to recover compensation against any party who is more at fault than you were; however, your damages will be reduced by the percentage of fault that is applied to you. This is because Georgia follows a modified comparative negligence rule. This rule controls the jury awards or judge awards in several lawsuits and a car insurance claims adjustor might also try to negotiate a settlement based on comparative fault rules as well. In all of these unique circumstances, it is essential that you know your rights and that you consult with an attorney well in advance of filing. Following through on this process gives you the best possible opportunity to protect your interests and to initiate a legal claim with recovering full and fair compensation for you in the back of your mind. No matter how an auto accident happens, it can put victims in the precarious situation of not understanding how to move on or how to protect themselves. The support of an attorney is essential in being able to move on after a claim like this and might make a world of difference in how you move on with your life and what you can anticipate. Rear end accidents, chain reaction accidents, T-bone accidents, or side impact accidents and even crashes that occur in parking lots can all have a devastating impact on injury victims. The most important thing to remember is that you cannot wait too long to file a legal claim. Your willingness to file an accident claim could significantly protect your ability to move on with your life and this is why all cases should be taken seriously and managed by a personal injury lawyer. Unfortunately, being involved in a serious Georgia vehicle accident can turn your world upside down. There are many different questions that you have as a victim and realizing that you need to retain the services of an attorney is an important consideration when filing a lawsuit. Georgia requires parties to report an accident immediately to local law enforcement if anyone involved in the accident has experienced death or injury. This reporting requirement also holds if there has been property damage greater than $500. The state requires that parties must stop and exchange their insurance, license, contact and name information to the other parties involved in the accident, and stay at the scene of the accident until all of the obligations have been fulfilled. You might be able to resolve your case with a vehicle accident settlement. The last thing that anyone wants is to spend multiple years arguing about a vehicle accident claim and putting together a case only to lose in the trial process. In many cases, a defendant in an auto accident case in Georgia might choose to pursue settlement opportunities because of the uncertainty of trial. This is why the vast majority of personal injury cases in Georgia settle. This means that a party gets a guaranteed payout and will not have to worry about the possible outcome in court. There is no statewide requirement for settlement conferences. However, many different courts encourage settlement or mediation. 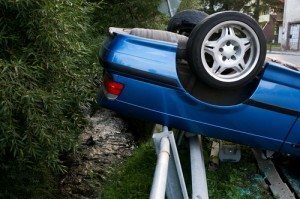 What Is Calculated in The Average Auto Accident Settlement in Georgia? Every case will vary in the amount of damages depending on your specifics. A minor ding of a parked car will have a settlement for much less than a drunk driver who kills a family. Parties and attorneys involved in settlement negotiations will consider pain and suffering, car repairs, insurance coverage, medical bills and lost wages for any time spent away from work. There is a strict statute of limitations for filing an auto accident lawsuit in the state of Georgia, and it depends on the particulars of your claim. In order to verify that you have appropriate abilities to file a lawsuit at this point in time, you need to consult with a dedicated lawyer immediately to protect your best interests. Whose Insurance Pays for A Vehicle Accident in Georgia? Once someone purchases and auto insurance policy, they often don’t think about what that covers or which person’s insurance will be responsible for paying in the event of an auto accident. Unfortunately, between 2008 and 2015, motor vehicle accidents in Georgia increased by around 26%. These accidents were also associated with an increase in severe injuries. This means that it is important to understand what you need to do in order to file a lawsuit and to expect whose insurance will pay out in an accident. Accident victims can sue the negligent party for future and current medical expenses, lost earning capacity, pain and suffering, and lost wages. The insurance of the person who is responsible for an accident will cover the damages for the person who wasn’t responsible. An insurance company will only cover up to the amount of the policy itself, after which point it is usually necessary to look for additional support in the form of a personal injury lawsuit. In many cases, more than one person or entity may be liable for an accident and your level of responsibility will determine the portion of compensation that you are eligible for. This is because Georgia uses a modified comparative fault rule. If a court determines that you are 20% responsible, then the compensation paid out to you would be reduced by 20%. If you are found to be more than half responsible for the accident, you will not recover compensation. You might have been involved in a crash with an uninsured or an under-insured motorist. This means that your attorney can file a legal claim against the at fault motorist directly, but people who usually don’t have appropriate insurance in the state of Georgia usually will not have many assets to pay for this. This is why it is important to make sure your own insurance policy thoroughly protects you in the event of an accident. In some cases, a person gets into a Georgia auto accident while acting in the scope and course of their work. If that individual was a worker with a company or another person, or if the company controlled the manner, time and method of that person’s work, additional options may be available. If the employee was driving a personal car but the employer was reimbursing them for mileage, then the employer’s insurance company may be liable for your injuries. If the employee causes an automobile accident in which a third party is injured then the employer could also be held accountable through legal theories. Bear in mind that even your own insurance company is interested in protecting their bottom line. Once the question of liability has been addressed, there is still the concern about how much you should be compensated. Compensation is a critical question and most people don’t think about it often. Property damage costs should be easy to calculate but damages tied to personal injuries can be much more difficult to determine. If you were critically injured, you could have medical expenses that will last for years or even the remainder of your life. If you take whatever the insurance company initially offers to you, you could find yourself with increasing medical bills and not have the opportunity to sue for additional compensation because of the initial settlement you accepted. Every person who is involved in a vehicle accident in the state of Georgia is responsible for stopping and sharing contact information with the other party. However, increasingly, people are concerned about being struck in a hit and run accident, and what type of compensation they could receive after this. If you are involved in a hit and run accident and have details associated with the other driver, you need to share these concerns directly with your personal injury lawyer as soon as possible and the police. The police might be able to track down the name and contact information for the person responsible for your injuries, allowing you to file an insurance claim directly with that party’s insurance carrier. A hit and run accident refers to any vehicle accident in which at least one vehicle leaves the scene. It can involve a car striking a piece of property, a car hitting another vehicle, or a car hitting a pedestrian. The driver who leaves the scene of the accident commits a punishable crime. If you were the victim of a hit and run vehicle accident in Georgia, it’s important to remain calm. Make sure that you capture any pertinent details about the vehicle as it’s leaving the scene and follow up by calling the police immediately. If you can provide any critical details about the vehicle, such as the color, make and name as well as numbers from the license plate, this can be of utmost importance to the police. Note the direction the vehicle appeared to be headed at the time. Anyone who is hurt in a hit and run case might struggle to get critical identifying information about the owner and the vehicle that left the scene. Most hit and run accidents are not planned, so a few identifying factors could help to track down the person responsible for your injuries. You might also want to ask witnesses in the area if they are willing to give you their contact information and speak on your behalf in the event that the case goes to court. Sometimes having an eyewitness during a hit and run case can make a big difference in how well the case proceeds overall. 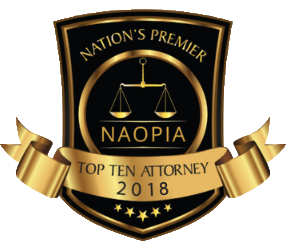 You may also want to contact a personal injury attorney who can help you to reconstruct the scene of the accident and figure out whether any other details can be collected from the scene of the incident that would allow you to recover compensation. If you or a family member have been involved in a car accident, whether minor or severe, it is imperative that you reach out to an experienced car crash attorney as soon as you are able. At Chalker Injury Law, we offer free consultations and can evaluate the facts of your case and your individual needs to come up with a legal strategy that is designed to help you get your expenses completely covered. We are available now to speak with you. Call at (678) 319-9991.